Way back in February 2015, Disney announced that the cost of a one-day ticket to Magic Kingdom would increase to $105 – crossing the $100 mark for the first time ever. It didn’t take long for people to start speaking out against the price hike, but I think it’s time to put some things into perspective. When Disneyland opened in 1955, Walt Disney charged guests $1 to enter the park, and each attraction came at an additional cost. Critics were outraged considering that most amusement parks were free to enter and guests paid for the rides. 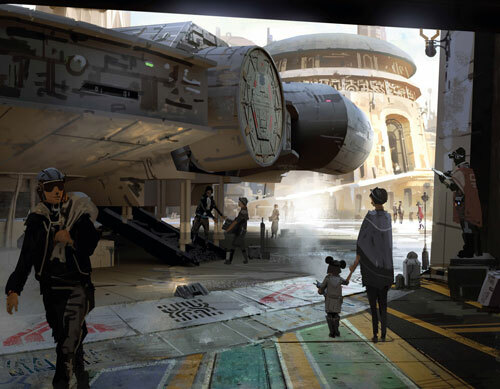 Even still, Disney estimated that the average guest spent $2.37 per day including the 25-cent parking charge, attractions, amusements, and souvenirs. 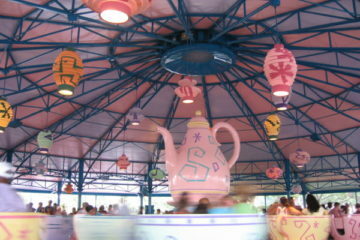 Visitors to Disney Parks are considered guests and not customers. As such, Disney Guests experience a level of customer service far beyond that of other popular vacation spots. Disney knew guest service was important and went so far as to enlist the Orlando Airport in the magic. He encouraged cleanliness and friendliness from the Airport employees. 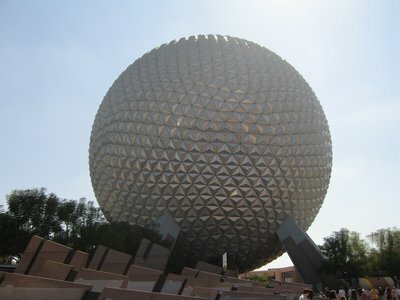 From the airport, guests take a FREE motorcoach to Disney World Resort. The bus drops you off at the entrance of the hotel, and Cast Members are waiting outside to say, “Welcome home!” You will be greeted with genuine smiles and a real desire to make your stay magical. Rooms are often well appointed with complimentary mini fridges, cosmetic items, and even Mickey-shaped towels. The service guests receive at Disney is unparalleled. What’s more, Cast Members are quite literally required to do random acts of kindness. 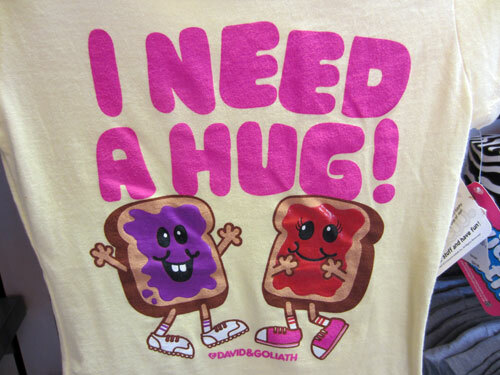 If you need or want something, just ask. Although they can’t give you everything you ask for, they will do anything they can to make your wishes come true. For example, we’ve been granted VIP fireworks viewing at Epcot just for telling a Cast Member that we were celebrating our anniversary. 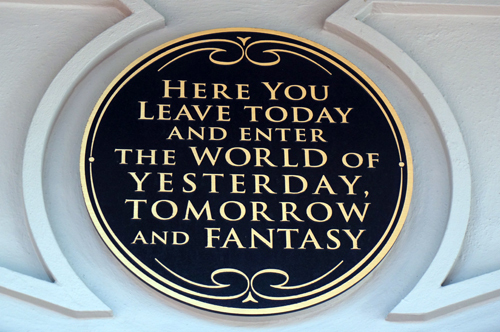 When Walt Disney developed his original concept for the theme parks, he vowed to make a clean, family-friendly park. His park would be different from other amusement parks he visited that were dirty, unsafe, and offered only rides appropriate for kids. Walt even visited other parks and observed the number of steps visitors would take to throw away a piece of trash. Based on his calculations, a trashcan is never more than 30 steps away. If someone does drop a piece of litter in the Disney Parks, it doesn’t take long for a Cast Member to swoop in and pick it up. I’ve observed this several times, and it continues to impress me. 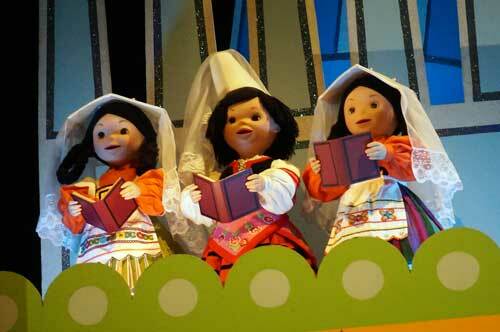 Disney offers a variety of experiences to entertain the whole family. Guests can enjoy a day on the water on a pontoon boat, a jet ski, or a guided fishing excursion, a day on land on the world-class golf courses, lounge by the pool, visit four different theme parks, or spend the day eating delicacies from around the world. The details that Disney includes in the different lands are incredible. As you’re walking around, try to really look at all of the plaques commemorating the lands and significant events. Not only is there a ton of variety in the experiences, but each park and each land in the park is a story within itself. Disney works really hard to totally immerse guests into the story even when they don’t notice the small details. For example, did you know that the coins in Pirates Of The Caribbean are replicas of real Spanish coins? 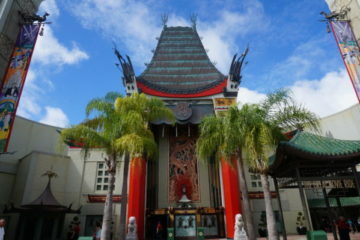 Disney had long established itself as a storytelling movie company, but no other park goes so far to make the magic come to life in such a vivid way. All of this is wonderful, but when it comes down to the Benjamins, is a Disney vacation really worth the cost? Let’s break that down. It’s true that a one-day pass to Magic Kingdom now costs more than $100, but most people aren’t purchasing day passes. Florida Residents and Military Members receive steep discounts. Us regular folk will save almost $10 just by purchasing a second day- that’s right, by adding one more day, your per day price goes down. 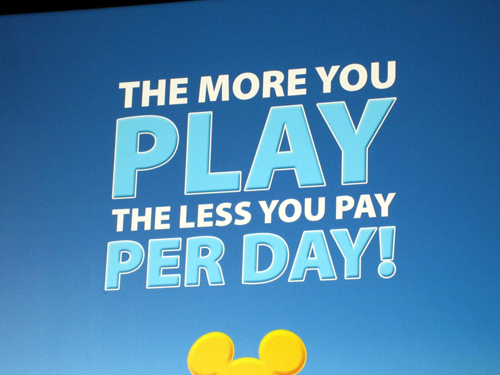 Stay longer, play more, pay less- that’s how it works in Disney! What’s more, Disney has a wide variety of hotels for every budget. In the off-season, usually when the weather is cooler and the kids are in school (read smaller crowds and lower temps), Value Resort rooms can cost as little as $80 per night. These are nice rooms and not your shady motels off the interstate. By staying on property, you have access to free transportation to anywhere on Disney property via the Disney busses. You’ll save money on renting a car, and the busses run constantly throughout the day. Some hotels even have ferry service and monorail service to and from certain locations. There’s a reason that Disney stock is up 450% since January 2009, and it can be summed up in one word: Consistency. Disney may not always be perfect, but they are consistent. Guests know what to expect when they visit, and they almost always get excellent service. After all, the things that can ruin a vacation are often out of Disney’s control. The heat can be downright oppressive, but if you prepare for the weather by bringing sunscreen and appropriate clothing, planning to visit air-conditioned areas regularly, and staying hydrated, you can survive and even have fun even on the hottest days. 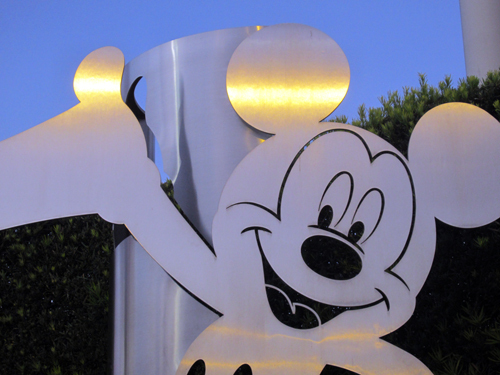 Disney is admittedly expensive, but do you think it is a good value?